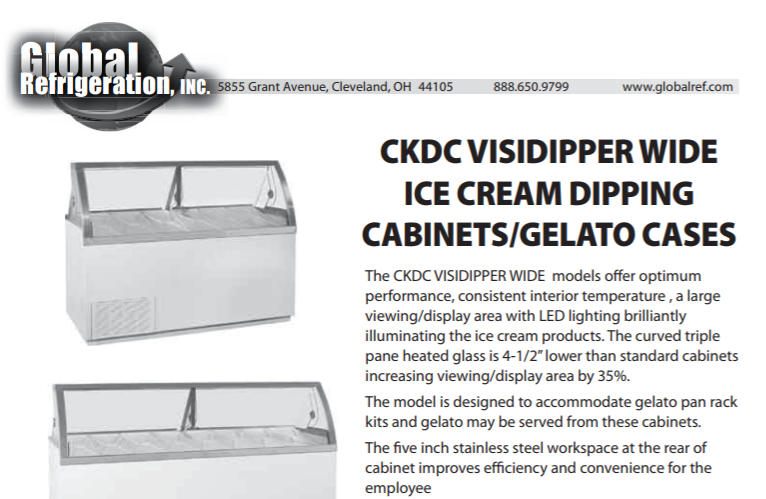 The CKDC Visi-Wide is the newest addition to the Global product line. A clean sleek design and multiple features added to the original Kelvinator design have created an aesthetically pleasing dipping cabinet/gelato case offering optimum display for your products. The additional 5″ of workspace on the rear of the cabinet greatly improves convenience and efficiency for employees.